Holy cats, an offset? Yep. I had wondered how the elements of a '71 might look if rearranged and morphed into an offset body style, but with a more clean and modern look. I also wanted it to look like something that Bowie would have played, and here we are! 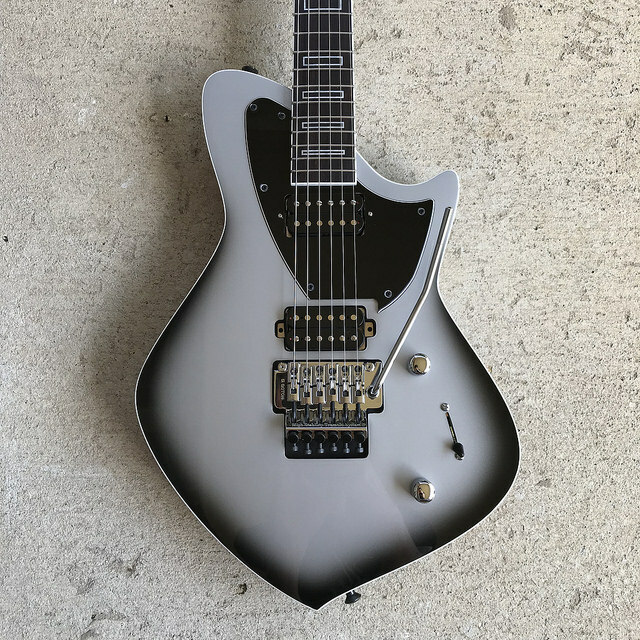 While it has a retro-futuristic aesthetic, rest assured; the Stardust is very shred-ready and will be right at home with high output pickups and lower tunings. 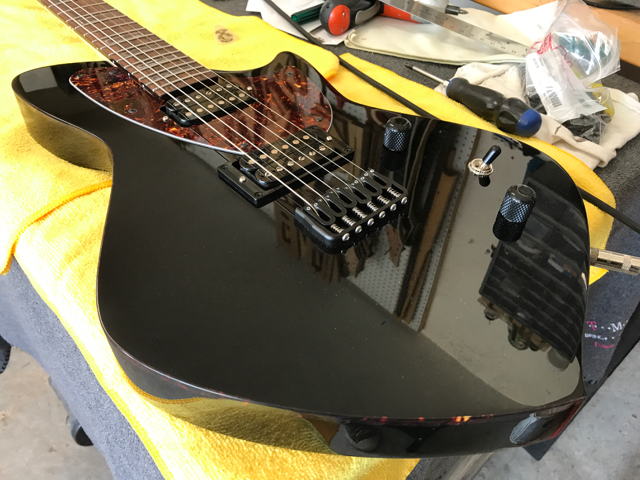 The Stardust features bolt on construction, your choice of the Aero or Raven headstocks, slash or block outline inlays, 25.5 scale, stainless steel frets, and your choice of Hipshot hardtail or Floyd Rose locking tremolo. The Stardust can be ordered as a 7 string, or a baritone, and with all Sully Guitars, no Bigsbys. Base price for the Stardust begins at $2450. Throughout 2017, I wanted to give the Stardust somewhat of a more modern, dressed up look, but wasn't exactly sure what that looked like. I lived with the idea for a while and was inspired while visiting the Dallas Museum of Art last spring, and here we are. The first Stardust Deluxe features a mahogany body, ebony top, ebony fretboard, ebony head plate and truss rod cover, and a geometric inlay. Direct mount pickups, stainless steel frets, and Hipshot hardware complete the instrument. The Stardust Deluxe is only available as I build them.